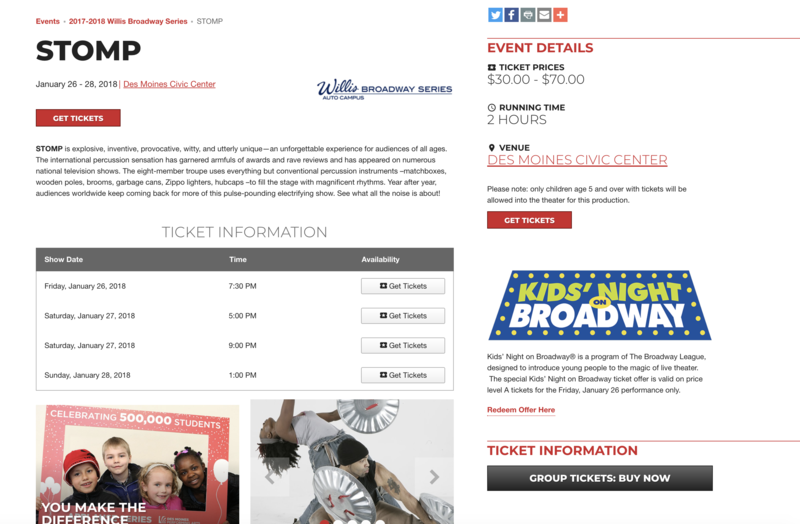 (Drumroll please...) We took our great partnership with the Des Moines Performing Arts team, put our creative minds together and rolled out an updated website that we're all pretty proud of! Local art supporters know DMPA best for their outstanding shows and performances. 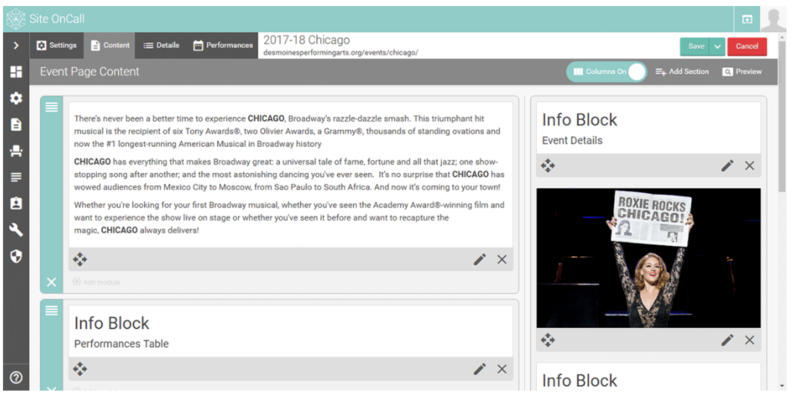 The new website has easy-to-use navigation which allows customers to find information on upcoming events in a more efficient manner. Don't believe us? Check it out here. Using our customizable and user-friendly Site OnCall® service, they can now easily edit their videos, images, text and automatic data to best suit their needs. We enjoyed working with our friends at the Des Moines Performing Arts and look forward to catching a few shows this year!